Worcestershire’s visit to Uxbridge, Middlesex’s agreeable out-ground home on the edge of London’s north western sprawl, is an enticing encounter in its own right, but a lot of the attention this week is likely to be on those individuals who have their last chance to pitch for an Ashes place before joining England’s training camp in Spain. Moeen Ali, in particular, has much to prove. Since his England debut a year ago the 28-year-old has won many admirers but his cult status has not quite been backed up by his on-field performances – for somebody who earned his call-up primarily as a top-order batsman, a Test average of 28.50 is not good enough, especially now that he appears to be going through a difficult period with his off-spin too. The selectors seem keen to back him – there is no other spinner going to Spain – but if he can’t rediscover his form now the calls for Adil Rashid will only get louder. Moeen, who has taken just seven wickets in five first-class matches this summer, will take his place in a Worcestershire team that is now bottom of Division One. In fact, they have been far more competitive than their position in the table suggests, pushing teams like Yorkshire and Sussex hard and thrashing Somerset by an innings for their only win, but Daryl Mitchell’s men went down heavily last time out against local rivals Warwickshire and will be desperate to put that result to one side. In that mission they will be aided by Saeed Ajmal, though the Pakistani has struggled badly since remodelling his action. Middlesex, fourth in the table with a game in hand on leaders Durham, have gone well so far but will be well aware that they are approaching the point of the season where recent campaigns have gone downhill. They are also having to cope with a mounting list of absentees – as well as missing Steven Finn and Eoin Morgan to England duty, they are also without the injured Dawid Malan, Joe Burns and Ravi Patel for this fixture. 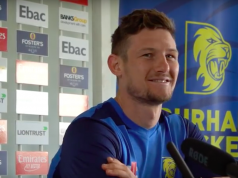 Nick Compton and Sam Robson will, however, be among the XI and both may sense an outside chance of an Ashes place with few candidates staking convincing claims to be the reserve top-order batsman in the event of an injury. Nick Compton scored 94 and 83 not out in his two innings at Uxbridge last year, albeit for Somerset rather than Middlesex. Now back with the Seaxes, it has not taken long for Compton to settle back into North London life with a century and four fifties placing him tenth on the Division One run-scoring chart. Should one of England’s top three suffer an injury during the Ashes, runs here would leave leave him well placed to return to Test cricket. Saeed Ajmal is almost as popular with the Worcestershire supporters as Moeen is but, aged 37, there are doubts over whether the Pakistani can recapture the form that saw him widely regarded as the leading spinner in the world until running into problems with his action. He is now in the clear with the bio-mechanists but has not been effective since his return. If the Pears are to stay up they need him to be back to somewhere close to his best before long. The extent to which he can create pressure on what is generally a flat surface at Uxbridge may determine whether Worcestershire can get a foothold in this game. Middlesex’s injury list is extensive with Neil Dexter (shin) joining Dawid Malan and Ravi Patel. Steven Finn and Eoin Morgan are still with England. However, the in-form Paul Stirling is available, as is Joe Burns who sat out this week’s Twenty20 games. 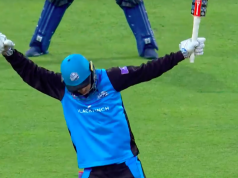 Worcestershire have named an unchanged squad from the one that went down by an innings to Warwickshire with Director of Cricket Steve Rhodes saying that “they deserve a chance to repair the work that was probably undone”. Overcast and cool with showers expected on Monday. The pitch has traditionally been flat though last year’s offering facilitated an excellent contest between bat and ball.